DATE/TIME: The tournament will be held on October 6th, 2018. Check-in will begin at 8:00 a.m. in room 708. The first round of the tournament will start promptly at 9:00 a.m. Teams that are late will forfeit their first round match. We hope to end the tournament by 5:00 p.m. LOCATION: Olympian High School. 1925 Magdalena Avenue Chula Vista, CA 91913. Parking will be available at the front of the school. The matches will take place in the 600 and 700 buildings. ELIGIBILITY: Any school that participated in the Small School National Championship Tournament will be ineligible. REGISTRATION: Please fill out the following form to sign up: https://goo.gl/forms/tlUUBVvLXi34eSty1. A confirmation email will be sent shortly after. Registration will end September 29th, 2018, a week before the tournament date. All other teams will be waitlisted. Tournament will have a round-robin preliminary in the morning, followed by a round-robin playoff in the afternoon. Seedings in the individual sub-brackets will be determined by the overall win-loss record. Ties across brackets will be broken by average points per bonus, and ties within brackets will be broken by average points per game. There will be an 18 team field cap for the Varsity division of the tournament and a 30 team field cap for the Middle School division of the tournament. Teams in the top 15% of the schools in the High School Division will qualify for HSNCT in Atlanta, GA on May 24, 2019 or SSNCT in Chicago, IL on May 3-5, 2019; top 15% of the schools in Middle School Division will qualify for MSNCT in Chicago, IL on May 10-12, 2019. A light breakfast will be provided. For lunch, there are several malls/plazas in the area that include but are not limited to: In-N-Out, Panera Bread, Panda Express, Jersey Mike’s, Subway, Rubios, Panchos Taco Shop, Chick-Fil-A, Jack in the Box, and Carl’s Jr.
For out of town teams, the closest hotel is the Marriott Residence Inn Otay Ranch. If you have any questions, feel free to email olympianacademics@gmail.com. Last edited by athinarosure on Tue Sep 04, 2018 2:32 pm, edited 1 time in total. Last edited by ShorterPearson on Mon Aug 20, 2018 11:21 am, edited 1 time in total. This is very much not standard practice for high school tournaments where local staffers are available, and asking this (and thus cluttering a tournament thread where clarity is paramount) as an officer in a major quizbowl organization really isn't a great look. 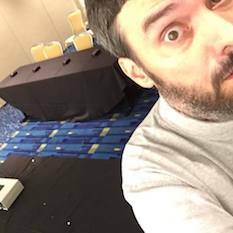 An Economic Ignoramus wrote: This is very much not standard practice for high school tournaments where local staffers are available, and asking this (and thus cluttering a tournament thread where clarity is paramount) as an officer in a major quizbowl organization really isn't a great look. that said: the point is VERY well taken. has anybody figured out that I stumbled into this whole officer role yet? UPDATE: Our tournament has been designated as a gold qualifier for PACE NSC. This means that in addition to HSNCT qualification, competitors who finish in the top 20% of the high school division will qualify for the PACE national championship. The deadline for registration will be Thursday, October 4th at midnight. The deadline for registration will be tonight, Thursday, October 4th at midnight. We thank those who have already signed up!